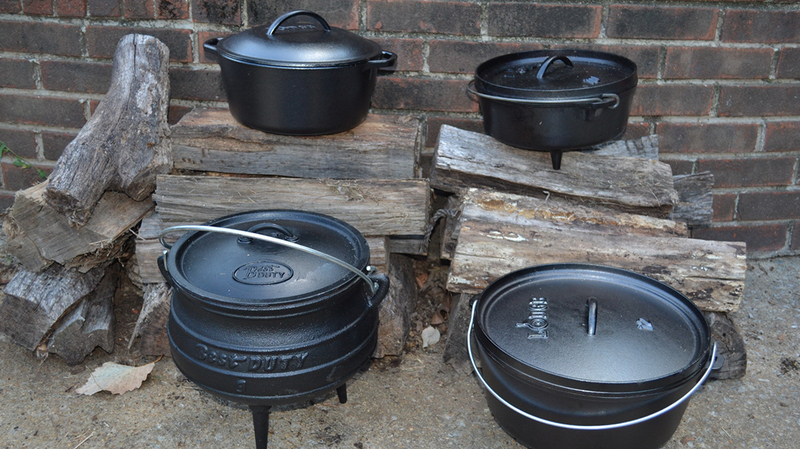 Dutch ovens come in a wide variety of sizes. 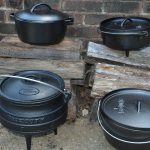 For example, a bread Dutch oven, 10-inch camp Dutch oven, 12-inch deep camp oven, and a potjie. For best results, use a keyhole fire ring to help keep those coals ready for your oven. If the situation demands it, you can cook anyplace where the coals won’t ignite anything; for example, in the driveway or on the sidewalk. 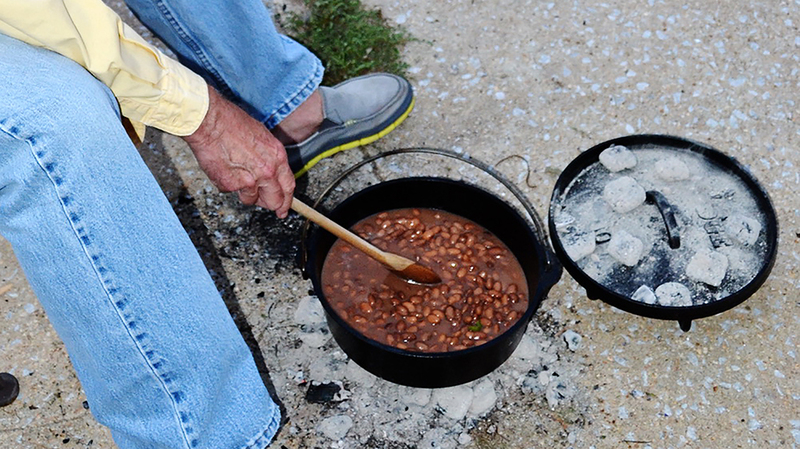 You can bake, fry, stew, sear and boil in a Dutch oven over a camp stove or fire. A Dutch oven provide a great deal of flexibility of what you can cook, where, and even the method. 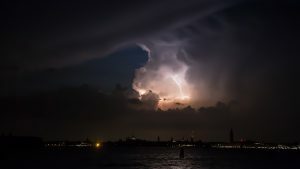 There was no sunshine—only dark clouds and a blanket of snow on the ground. A thick layer of ice covered the roads, and icicles hung from downed power lines. The bad news was the ice storm, lack of power, and the inability to get into town for supplies. The good news was that we could remain well fed with a wood supply in the driveway, a full pantry, and three Dutch ovens. 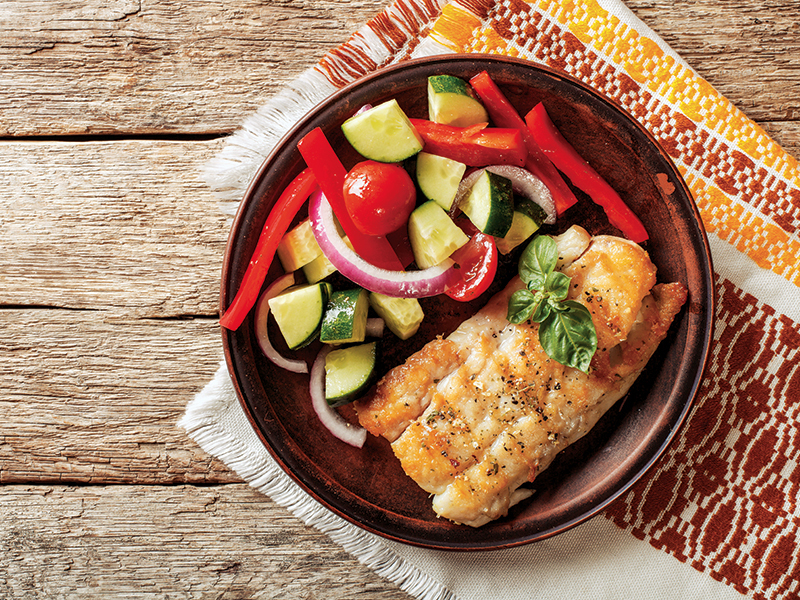 Without problem, meals could be fried, baked, braised, simmered, sautéed, seared, or roasted over an open fire or bed of coals. 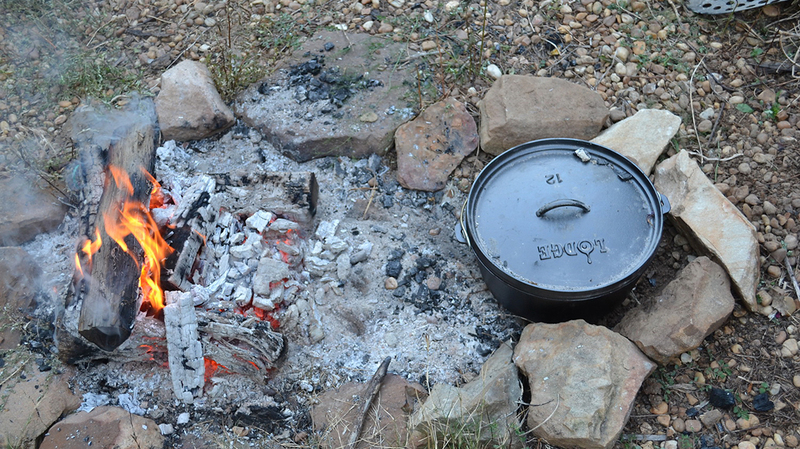 In a situation when civilization is crumbling down around you or you merely lose power for a few days, a cast-iron, Dutch oven can handle all of your cooking needs. 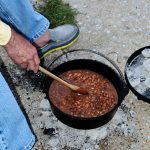 Cast-iron cookware is built to last. With proper care can serve generations. In fact, while Dutch ovens are slow to heat up to cooking temperature, they retain the heat, so you need less heat overall. This is important when conditions are tough and fuel sources are scarce. Additionally, cast-iron Dutch ovens distribute the heat evenly through the pot. 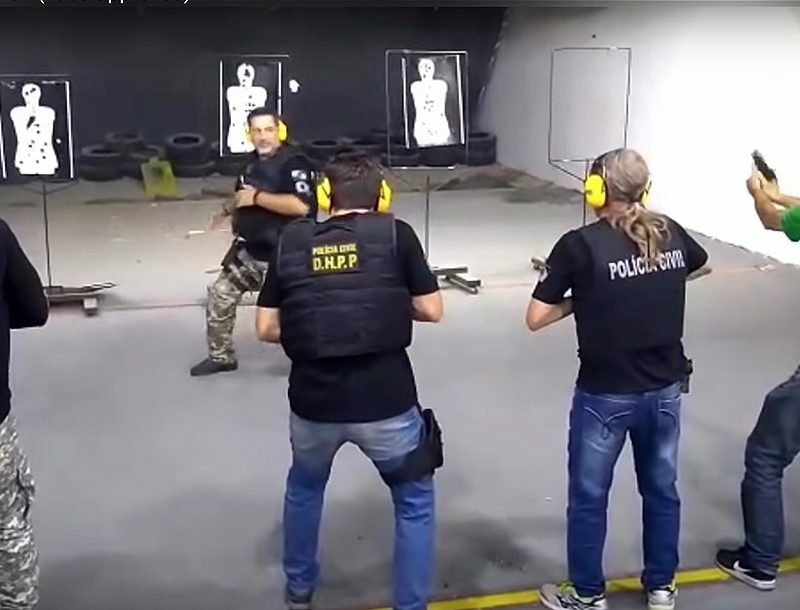 This results in fewer hot spots. Also, the oven’s heavy lid holds in the heat, helps keep the food moist, and tenderizes the meat. You can even turn over a Dutch-oven lid and use it as a griddle or a frying pan. 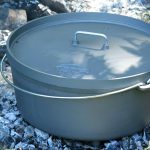 An outdoor or camp-style Dutch oven has a flat bottom with three short legs that keep the bottom of the pot from directly touching hot coals. It has a strong bail handle you can use to hang it over a fire. Unlike the kitchen variety, this model’s lid is flat with a raised rim around it to hold hot coals. The most popular sizes are the 10-, 12-, and 14-inch models. 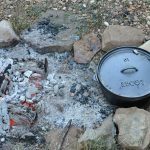 The standard, 10-inch Dutch oven has a depth of 3.5-inches and is known as a “bread oven.” Most camp cooks use the 10- and 12-inch models for their outdoor cooking needs. The 10-inch oven holds four to seven servings and the 12-inch holds 12-14. 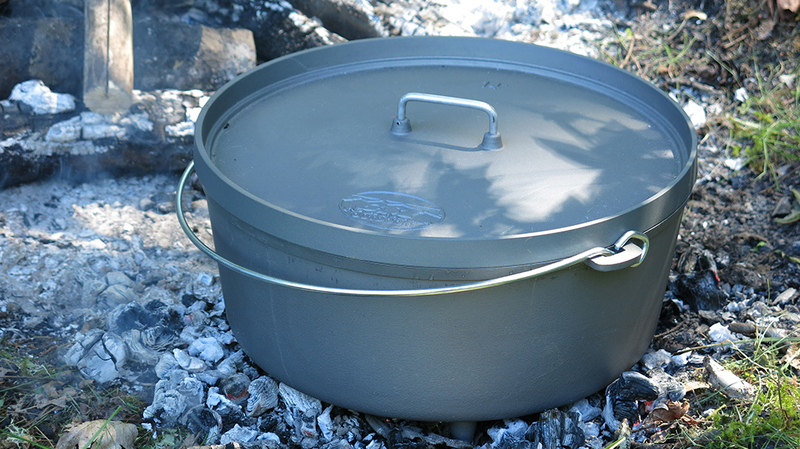 When you buy your Dutch oven, check the lid and pot for cracks and imperfections. These are common on bargain-priced ovens. Make sure the lid sits flat on the pot and has a little bit of side-to-side motion. If it fits too tightly, it can get stuck on the pot. If you buy a high-quality Dutch oven, it will probably come pre-seasoned. Lodge Manufacturing Company, a major U.S. manufacturer of cast-iron cookware, electrostatically coats its ovens with a proprietary vegetable oil and cures them at a high temperature so the oil will penetrate deeply into their surfaces. If you get one that’s not pre-seasoned, you need to season it yourself with vegetable oil, which not only prevents food from sticking but adds flavor to the food, too. To season your pot, preheat your oven to 350 degrees. Put a sheet of aluminum foil on the bottom of the oven to catch any oil that might drip from the pot. Then place the pot and lid in and heat it for 30 minutes. Preheating the pot and lid will open the cast-iron pores. After you take the pot out of your oven, use a paper towel to rub a thin coating of vegetable oil or solid vegetable shortening all over the inside and outside of the pot, its lid, and its legs. Put the pot back into the oven and leave it for an hour. Then turn off the oven and let the pot and lid sit inside until it is room temperature. 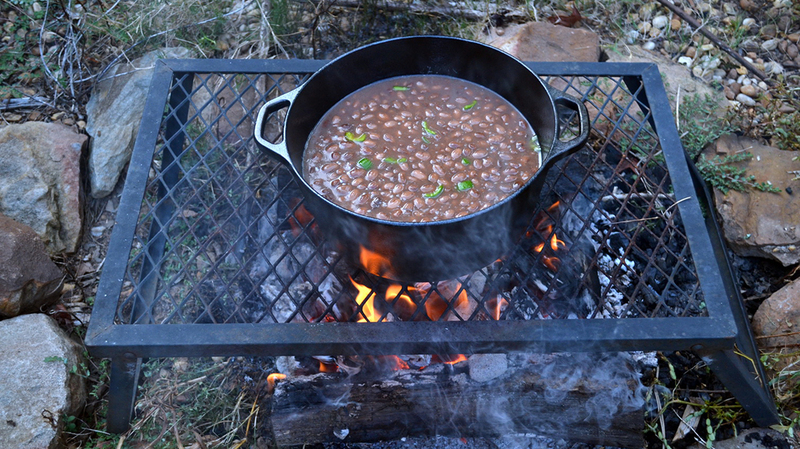 Dutch-oven cooking is a daily way of life for cowboys, outfitters, guides, and those living off the land. 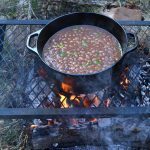 Many enjoy them as part of their camping experience, and others enjoy cooking on them in their backyards. Becoming an experienced Dutch-oven cook will serve you well when the chips are down and you have no power. And you’ll likely end up making some pretty tasty meals in the bargain. Food removal: Scrape out the food in the pot with a wood or synthetic utensil, plastic scouring pad, or stiff scrub brush. Do not use steel wool or a metal spatula. If there is food stuck to the bottom or sides, put clean water in the pot and boil it. Drying: After you rinse the oven and lid, use paper towels or a clean dish towel to dry it. You can also put the pot and lid back in the warm oven to dry, which will prevent rust. Oil: Once the oven and lid are dry, apply a thin coat of oil. Always clean your Dutch oven as soon as possible after use. Do not use it for storing food, because acids in the food will have an adverse effect on your seasoning. Do not store your oven with its lid on tight, because this can cause condensation, which could turn into rust. Fold up a paper towel and lay it over the lip of the pot in two places so the lid isn’t closed tightly. Always inspect your oven for signs of rust, and if you find some clean it with a scrubber or stiff brush and then re-season.